A few decades ago, Vietnam was very renowned for a war with the participation of the U.S Army. Interestingly, some American have still remembered it from the war name until now. However, after this event was finished in 1975, Vietnam didn’t appear in the front pages of illustrious newspapers in high frequency.That’s why for many people in the world, they have never heard of it before. Or at least, they cannot determine exactly where the country is. And of course, Hanoi location in Vietnam is something very strange and novelty, like an unanswerable question given to them. 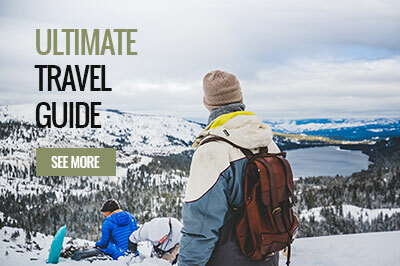 As you might know, if you have a thought to go somewhere, the first stage you must do to form a plan for travel is to know where you want to go. If a traveler have a desire to visit Hanoi, the capital of Vietnam, he or she, admittedly, needs to do this too. For those who are expert in geography, that task is easy to complete. But how about the others? If they feel it’s impossible to image Hanoi location even when they view it on Google Maps, my description below can help them open their mind simply. But firstly, in order to make everything understandable, getting to know the site of Vietnam is necessary. Located on Indo-China peninsula and near the equator, Vietnam is a member of Southern East Asia. In the north of Vietnam is China. Meanwhile, in the east is a large sea called South China Sea. Due to its long coastal line looking like the word “S”, you can figure out it at the first sight. Interestingly, the Vietnamese usually call it “The S-shaped country”. Stretching over ten latitudes, the country has the border with two nations, Laos and Cambodia, in the west. Far from the east is Philippine. And in the reversed direction is Thailand. Moreover, it never takes you much time to fly from Vietnam to some developed countries and affluent cities. For example, Hong Kong and Singapore are about 800 kilometers from Vietnam. And the distance to Australia, Korea and Japan is under 5000 kilometers. Regarding Western countries, the time for traveling by plane is much longer. It is noticeable that Vietnam is half a world away from Cuba, a small country right in the south of the U.S.A. And therefore, when you stay on a plane to fly to Vietnam from Europe or America, just relax, sleep or enjoy music since your journey will not be ended soon. Where is Hanoi location in Vietnam? Owning to its long shape, Vietnam is divided into three different parts to simplify the process of governmental control. They are the north, the central zone and the south of Vietnam. Considered as a political heart of the country, however, Hanoi is not located in the central part. In contrast, it occupies a small area in the north of the country. The main reason for this is related to its long-age history. In fact, the city was formed after the first king of Ly Dynasty chose it as the capital of Dai Viet, the previous name of Vietnam, over 1000 years ago. Based on such infrastructure which has developed since that time, Hanoi is very suitable to become a fully functional capital today. It is understandable why the Vietnamese ancestors preferred Hanoi for the capital of Vietnam. The most serious problem that the central part often has to cope with is a powerful typhoon. Every year, this zone is attack by this extreme climate and flood. This, unfortunately, brings huge destruction to civilians. Meanwhile, because Hanoi is not in the proximity of the coastal line, destructive winds brought by the tropical storm, therefore, rarely emerge there, allowing local people to live and work in a peaceful environment. For more detailed information about Hanoi location in Vietnam, this time-honored capital is in the northern-west sector of Red River Delta. Its attitude is from 20°53’N to 21°23’N. And its longitude is from 105°44’E to 106°02’E. Perhaps you wouldn’t know that although the city is inside a tropical region, it suffers from a true winter from November to February annually. Of course, the summer is so boiling, making the city show 4 separate seasons as Europe does. However, Hanoi is about 90 kilometers from the nearest beachfront. Therefore, in the case you desire to seek a natural beach, it’s impossible to let your dream come true. However, you are able to escape from the heat at Hanoi’s mountainous districts in the western outskirts of the city. Generally, the city is in the south of Thai Nguyen Province and Vinh Phuc Province, in the west of Phu Tho Province, in the north of Hoa Binh Province and Ha Nam Province, and in the east of Bac Ninh Province and Hung Yen Province. Actually, it’s easy to travel to other provinces in the same zone. Nonetheless, due to the country’s special geographical features, if you want to travel to Ho Chi Minh City in the southern part, or Da Nang City in the central one, a plane is the most convenient means of transportation for you. Indeed, the city is just 171 km from the border between Vietnam and China. Plus the improvement of transport infrastructure these days, you can visit some Chinese sectors in the vicinity of the border gate and go back to Hanoi within in a day. How to recognize Hanoi location on the world map more easily? Hanoi has mainly expanded in the south bank of Red River, a long river flowing from China. So firstly, you should locate the river in the south of China. After that, just notice the downstream area, where Red River Delta is highlighted on Vietnam’s map. And then look at some large lakes on two sides of the river. Once you realize West Lake, a huge G-shaped lake, and Hoan Kiem Lake on the map, the hinterland surrounding them is Hanoi city. As you mightn’t know, this place is one of very few metropolises in the world which have still kept natural lakes in the inner city. To summarize, I hope that from what I’ve written in this article, you can get to know Hanoi location in Vietnam as well as that beautiful Asian country. More importantly, it is feasible for you to arrange an extra journey to other cities in Vietnam or certain countries from Hanoi as well.